Arizona Legalization Foes Appeal to State Supreme Court to Block Initiative. Even though a state superior court judge last week ruled that their challenge to the Prop 205 legalization initiative made no legitimate claims, the plaintiffs in the lawsuit have vowed to take their case to the state Supreme Court. Second Arkansas Initiative Should Qualify for Ballot. There's already one medical marijuana initiative on the ballot, the Arkansas Medical Cannabis Act, but there could be another. Backers of the Arkansas Medical Marijuana Amendment handed in additional signatures last Friday after they came up short in the original round of petitioning. The amendment needed 84,589 valid voter signatures, but only came up with 72,000 valid ones on July 8. Being so close, however, qualified the amendment for a second round of signature gathering, and it has now handed in another 35,000 raw signatures, meaning it should now qualify. If both initiatives appear on the ballot and both pass, the one with the most votes will become law. Missouri DAs Seek to Block Medical Marijuana Initiative Campaigns Challenge on Invalidated Signatures. A dozen state prosecutors have filed legal action to block the New Approach Missouri medical marijuana initiative from getting on the ballot. The group is challenging official signature counts that say it came up short, but the DAs argue that that isn't the real issue. They argue that the state cannot put on the ballot issues that would result in laws in conflict with US law. Duterte's Philippines Drug War Death Toll Doubles to 1800. The number of people killed in President Rodrigo Duterte's campaign against drug users and sellers has now reached 1,800, police said Monday. Police said they had killed more than 700 drug offenders, while more than 1,000 killings were carried out "outside police work." The UN has called on Manila to end the extra-judicial killings, but Duterte has responded by saying he could quit the UN. Mexico Police Accused of Massacring 22 Suspected Cartel Members. The deaths of 22 alleged cartel members in a May 2015 incident at a ranch in Michoacan was not a gun battle, but a mass execution, the country's human rights commission declared last Friday. The commission said police killed the men, then moved bodies and planted guns to support the official account that there had been a shoot-out. "The investigation confirmed facts that show grave human rights violations attributable to public servants of the federal police," said the commission president, Luis Raul Gonzalez Perez. National Security Commissioner Renato Sales, who oversees the federal police, rejected that charge, and did so at a press conference called before the commission had finished its own. Despite what's been called "de facto legalization," California has arrested a half million for pot in the last decade; Tennessee's Music City moves toward decriminalization, a Montana anti-medical marijuana initiative has come up short, and more. California Saw Half a Million Marijuana Arrests in the Last Decade. And you thought pot was virtually legal there already. A new report from the Drug Policy Alliance shows that far from "de facto legalization," tens of thousands of Californians are still getting arrested for marijuana offenses each year. Even though the state decriminalized pot possession in 2011, thousands are still arrested for marijuana misdemeanors each year, and the burden of arrests falls disproportionately on blacks, Latinos, and youth. Report Finds West Virginia Could Make Millions By Legalizing Marijuana. The West Virginia Center on Budget and Policy released a report Thursday saying that if the state legalized marijuana and taxed it at 25% of its wholesale price, the state could collect an estimated $45 million a year. And if just 10% of marijuana users living within 200 miles of the state came to buy legal weed there, the state could make $194 million a year. It would also save most of the $17 million a year it currently spends enforcing pot prohibition. Nashville Moves Toward Marijuana Decriminalization. Tennessee's second largest city (less than a thousand people fewer than Memphis) is headed for decrim. The city council Tuesday gave its initial approval to a measure that would make possession of up to an ounce a civil infraction punishable by a $50 fine. It's not a done deal yet, though, and the police are grumbling. Stay tuned. Possible Arizona Pot Legalization Spurs Rush for Medical Marijuana Licenses. More than 750 people or groups have submitted applications for 31 medical marijuana dispensary licenses to be awarded in October. Medical marijuana license holders will get first crack at new adult use licenses if the Prop 205 legalization initiative passes. Montana Anti-Medical Marijuana Initiative Fails To Qualify for Ballot, But Challenges Signature Shortfall. An initiative seeking to repeal the state's medical marijuana law has failed to qualify for the November ballot after coming up short on valid signatures. The Safe Montana campaign claims the state improperly rejected or lost signatures and has filed suit to challenge the state's decision. Meanwhile, the I-182 initiative, which would rebuild the state's largely gutted medical marijuana program, has already qualified for the ballot. 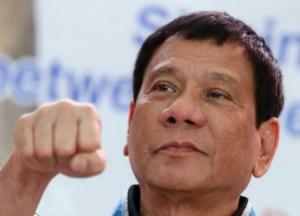 Philippines President Duterte Slams "Stupid" UN Criticism of Drug War Killings.President Duterte, who has presided over hundreds of drug war killings since assuming office just weeks ago, has pushed back against criticism of his policies by the United Nations. ""Here comes the UN, easily swayed, and coming with a very stupid proposition,"Duterte said in a speech on Wednesday at an event for police officers also attended by foreign diplomats. "Why would the United Nations be so easily swayed into interfering in the affairs of this republic?" Duterte has ordered police not to hesitate to kill and even urged ordinary citizens and communist rebels to join in the war against drugs. Drug users are "not viable human beings," he said. The DEA's refusal to reschedule marijuana yesterday elicits reactions from Hillary Clinton and DC activists, a California bill to tax medical marijuana farmers dies in committee, Secretary of State Kerry gets a letter from Congress urging him to prioritize human rights when it comes to financing Mexico's drug war, and more. DC activists are set to give the White House an earful after the DEA refused to reschedule marijuana. In Wake of DEA Decision, Hillary Clinton Reiterates Call for Rescheduling Marijuana. Democratic presidential candidate Hillary Clinton will move to reclassify marijuana as a Schedule II substance, her campaign said in a statement after the DEA rejected reclassification Thursday. "As president, Hillary will build on the important steps announced today by rescheduling marijuana from a Schedule I to a Schedule II substance. She will also ensure Colorado, and other states that have enacted marijuana laws, can continue to serve as laboratories of democracy," senior Clinton advisor Maya Harris said. 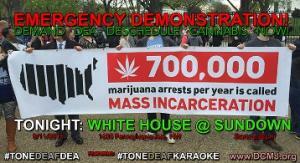 In Wake of DEA Decision, Emergency Demonstration at the White House Tonight. Washington, DC, DCMJ legalization activists are gathering in front of the White House tonight at 8:20 PM to protest the DEA's refusal to move marijuana from Schedule I, the same schedule as heroin. "Here we are, 43 years and millions of marijuana arrests later, and we being told that cannabis is still as dangerous as heroin. WHAT THE HELL?!?!" organizers wrote on Facebook. "The Obama Administration's DEA thinks Americans should go to jail for a non-toxic plant. WE THINK OTHERWISE!" California Medical Marijuana Tax Bill Dies in Committee. A bill that would have imposed a tax on commercial medical marijuana growers has been killed in the Senate Appropriations Committee. Assembly Bill 2243 would have imposed a tax of up to $9.25 per ounce of marijuana buds, $2.75 for pot leaves, and $1.25 for immature pot plants. The panel killed the bill after patient advocates said it would impose a burden on patients. Canadian Medical Marijuana Patients Will Be Able to Grow Their Own. Health Canada said Thursday that medical marijuana patients will be able to grow limited amounts for themselves or have a caregiver do so. The move comes as the government attempts to comply with a federal court ruling that struck down the previous Conservative government's ban on patients growing their own. Patients would also still have the option of buying from one of 34 producers licensed by the federal government. Congresspersons Sign Letter to Secretary of State Kerry Urging That US Prioritize Human Rights in Mexico. Some 68 members of Congress have signed onto a letter urging Kerry to make human rights a priority in US relations with Mexico. The letter expresses concern over the "27,000 unresolved cases of people who have disappeared in Mexico since 2007, and the slow pace of reforms in the military, law enforcement and justice sectors," as well as the persistent use of torture in criminal investigations. It calls for US support for the ongoing investigation and search for the 43 disappeared students from the Ayotzinapa rural teachers' college. And it reiterates the need for accountability and justice in the cases of grave abuses committed by Mexican security forces in Oaxaca and Tlatlaya. The letter comes as the State Department is reviewing the Mexican government's compliance with human rights conditions attached to US anti-drug funding. Civil society responds as the death toll mounts in the Philippines, Massachusetts politicians endorse pot legalization, a new study finds national legalization could bring in $12 billion a year for the feds, and more. Study: Legal Marijuana Could Bring $12 Billion a Year to Federal Tax Coffers. A new study from the American Economic Association says the federal government could harvest up to $12 billion annually in tax revenues if marijuana were legalized nationwide. The revenue estimate is based on a 25% federal tax on retail pot sales. Alaska Pot Board Member Fired, Alleges Governor Trying to "Subvert" Legalization. Gov. Bill Walker (R) has fired Marijuana Control Board member Bruce Schulte, and Schulte says it's because Walker and allies are trying to delay implementation of a voter-approved marijuana industry. "There's an underlying agenda to subvert the process, to delay the implementation of a legalized marijuana industry," Schulte said. "It doesn't look like the State of Alaska is really serious about making this happen." A replacement for Schulte has not been announced. Alaska approved marijuana legalization in November 2014. Arkansas Attorney General Rejects 2018 Legalization Initiative. Attorney General Leslie Rutledge has rejected an initiative proposed by Mary Berry of Summit to legalize marijuana in the state. Rutledge said there were ambiguities in the text that need to be addressed. That initiative was aimed at 2018. A 2016 initiative from Berry, the Arkansas Cannabis Amendment, was approved for signature gathering, but failed to make the ballot. Boston City Council President to Endorse Massachusetts Legalization Initiative. City Council President Michelle Wu and Councilor Tito Jackson will formally endorse the Campaign to Regulate Marijuana Like Alcohol's legalization initiative at a press event at the state capitol tomorrow. Holyoke Mayor Alex Morse endorsed the initiative Monday, becoming the first mayor in the state to do so. Boston Mayor Martin Walsh, Governor Charlie Baker (R), and other high state officials oppose the initiative. Florida Medical Marijuana Foes Get Big Bucks Donation from Publix Heiress. Carol Jenkins Barnett, heir to the Publix supermarket fortune, has donated $800,000 to Drug Free Florida to fight the Amendment 2 medical marijuana initiative. Jenkins Barnett also donated big time to defeating the medical marijuana initiative in 2014, handing out $500,000 to Drug Free Florida that year. As Philippines Drug War Death Toll Mounts, Rights Groups Demand UN Denounce Killings. More than 700 suspected drug users or dealers have been killed by police or vigilantes since Rodrigo Duterte took office as president less than three months ago, and now civil society is responding. 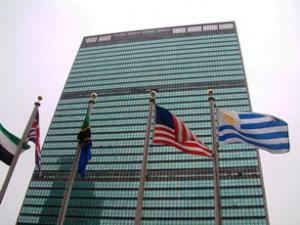 More than 300 human rights and other organizations have signed letters to the International Narcotics Control Board and UN Office on Drugs and Crime urging them to speak out against the extra-judicial violence. "We are calling on the UN drug control bodies to publicly condemn these atrocities in the Philippines. This senseless killing cannot be justified as a drug control measure," said Ann Fordham, executive director of the International Drug Policy Consortium (IDPC), which coordinated the letter. "Their silence is unacceptable, while people are being killed on the streets day after day." Australia's New South Wales Now Allows Doctors to Prescribe Medical Marijuana. As of Monday, New South Wales doctors can write prescriptions for medical marijuana. "People who are seriously ill should be able to access these medicines if they are the most appropriate next step in their treatment," NSW Premier Mike Baird said yesterday. 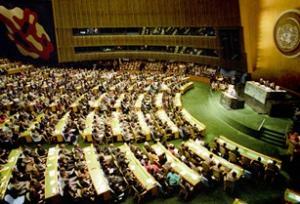 The United Nations General Assembly Special Session (UNGASS) on Drugs is set for UN Headquarters in Manhattan next week, and civil society and some European and Latin American countries are hoping to make limited progress in moving toward more evidence- and public health-based drug policies. But, knowing the glacial pace of change at the UN and well aware of how little of substance is likely to emerge from the UNGASS, some eyes are already turning to the post-UNGASS international arena. Hopes for more forward movement at the UNGASS, always tentative and facing opposition from global drug war hardliners such as Russia, China, and Singapore, were effectively dashed at the run-up meeting of the Commission on Narcotic Drugs (CND) meeting last month in Vienna, whose outcome document was described as "quite awful" by leading Canadian drug policy expert Donald MacPherson. The outcomes document includes some minor progressive movement, but does not challenge the trio of treaties that form the legal backbone of global drug prohibition, while its embrace of "flexibility" emboldens regressive, repressive measures (the death penalty for drug offenses, forced "treatment," criminalization of drug users) in hard line countries, despite being helpful for progressive reforms around the edges of the treaties' prohibition. 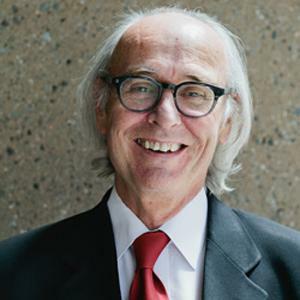 MacPherson was one of a handful of international drug policy experts and elected officials who took part in a teleconference last week organized by StoptheDrugWar.org (publisher of this newsletter), a US-based group that has been deeply involved in civil society organizing around the UNGASS. He wasn't the only one looking beyond 2016. 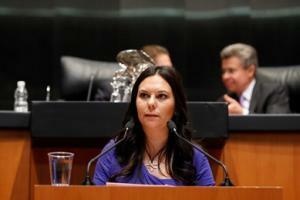 Mexican Senator Laura Angelica Rojas Hernández, chair of the Senate Committee on Foreign Affairs and International Organizations, called this year's UNGASS poses "a step" toward examining the objectives of the 2009 Political Declaration and Action Plan on drugs, which will be reviewed in 2019. While the CND outcomes document had good language around the need for embracing multiple approaches, such as public health, human rights, gender, and prevention, it also includes serious shortcomings, she said. "There is a lack of recognition of the relative efficacy of demand reduction and harm reduction policies and the absence of an acknowledgement of the high costs that the prohibitionist and punitive approaches have generated," the senator said. Mexican senators know all too well the high costs of drug prohibition. For the past decade, the country has been battered by brutal prohibition-related violence that has left at least 100,000 dead, tens of thousands more "disappeared," a legacy of human rights abuses by soldiers and police fighting the cartels, and the legitimacy of the state severely weakened. "The international community should continue to work toward the establishment of indicators that could help measure the impact of drug policies on people's lives and their rights," Rojas said, suggesting this could still happen at the UNGASS. But she was also looking down the road. "Something that should be placed on the table in 2019 is a thorough review of the three conventions on drug control that acknowledges the highly detrimental effects of the current approaches," she said. "And we should be more honest about the so-called flexibility of implementation offered by these treaties and acknowledge that there should be a wider range of action for countries to define their own drug policies, taking into consideration their national and cultural context." Both Rojas and Canada's MacPherson called for some sort of expert mechanism to guide policymakers eyeing the 2019 meeting. "Organizations and even some governments are beginning to call for a mechanism post-UNGASS to get real with the modernizing of the treaties," MacPherson said, reflecting frustration with the UNGASS process and prospects. "It's really important that UN member states speak strongly for the need for that mechanism, whether it's an expert committee or some other sort of group. And it needs to happen now -- the next three years are critical coming up to 2019. We really do need to have that process in place to [counter] the kind of intransigence of other countries that use the consensus-based model to hold progress ransom." "The international community should examine the possibility of establishing an analysis mechanism as a working group of experts, for example, with a mandate to formulate recommendations aimed at the modernization of the international system of drugs for the 2019 review process," Rojas added. "And from a longer-term perspective, we need to see the creation of a special office within the UN Human Rights Council, to follow up and monitor the respect of human rights in the context of the enforcement of the drug policies." The UNGASS hasn't even gotten here yet, and interested observers are already looking past it. Welcome to politics at the United Nations where most things happen at a snail's pace. The global drug prohibition consensus may be crumbling, but it is crumbling very slowly at the level of international conventions and institutions. The work continues. 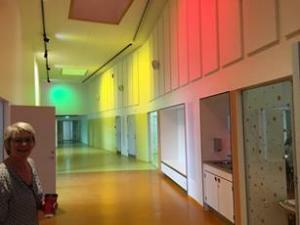 DC City Council Backs Away from Pot Social Club Ban. The District of Columbia city council today voted to halt consideration of legislation that would permanently ban adult consumption of marijuana outside the home, and instead moved forward with the creation of a task force to explore the establishment of regulated places where adults can legally consume marijuana in the District. Last week, the council passed an emergency ban on social clubs and it was supposed to make that ban permanent today, but backed off in the face of strong public pressure. Instead, it voted to establish a task force to study the issue. Rhode Island Governor Wants to Impose Hefty Plant Tax on Patients, Caregivers. Gov. Gina Raimondo (D) has introduced a medical marijuana reform plan that would impose a $150 per plant tax on plants grown by patients and a $350 per plant tax on plants grown by caregivers. The governor says this will help the state raise $8.4 million in new tax revenues. But that tax is based on the administration's position that each plant is worth $17,000, which is nowhere near the case. Patient advocates are not happy. Wisconsin Bill Would Make It a Crime to Cheat a Drug Test. State Sen. Robert Cowles (R-Green Bay) has introduced a bill that would criminalize the possession, sale, or advertising of chemicals used to create synthetic urine to defeat drug tests. Under current state law, workers can be fired for cheating on drug tests, but face no criminal penalty. The bill would make using synthetic urine to cheat a drug test a misdemeanor punishable by up to 30 days in jail for users and up to 90 days in jail for sellers or manufacturers. Fourteen other states have similar laws. Human Rights Watch Condemns Tunisia's Drug Laws. The group issued a report this week singling out Law 52, which is says requires courts to impose "cruel, disproportionate, and counterproductive" sentences on drug offenders. 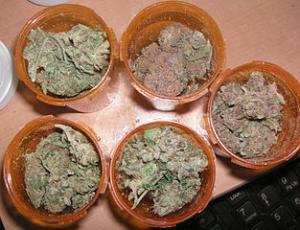 The law requires a mandatory minimum one year jail sentence for any illegal drug possession, including marijuana. Australian State Run Synthetic CBD Trials on Children With Epilepsy. The Victoria state government has authorized a study on 10 children as part of an effort to understand the effects of synthetic cannabinoids on children with epilepsy. The trial is set to get underway in Melbourne this month. The state government has kicked in $150,000 for the trial. Polish Rapper Files Medical Marijuana Bill. The pioneering Polish rapper known as Liroy is now Polish Member of Parliament Piotr Liroy-Marzec, and on Monday, he presented a draft bill to legalize medical marijuana in the East European country. "This draft crowns everything I've said over the years, especially during the election campaign," said Liroy-Marzec. "I promised people I met who were ill that I would do everything possible to table this draft," he said.